Joseph Goebbels in conversation with Friedrich Wimmer at Palace Kneuterdijk in Den Haag (The Hague), The Netherlands in 1940. Liberation of Den Haag (The Hague), The Netherlands. Tanks riding at Plein (Square) 1813 towards the Alexanderstreet in the direction of the Mauritskade. Contact me when using without permission. 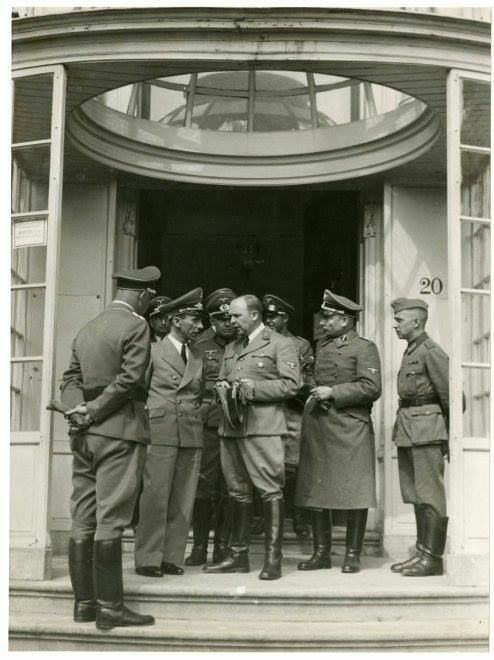 General der Flieger and Oberbefehlshaber der Wehrmacht Friedrich Christiansen (third from left) arrives in The Hague at the Lange Poten accompanied by a number of senior German officers. He stayed during the war, the commander of the Wehrmacht in Netherlands.